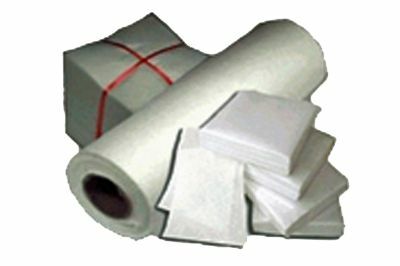 Be surprised and save big. 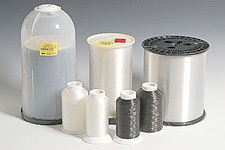 Grab bag assortments of full and partial spools. 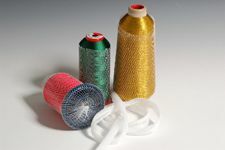 Be surprised and save big with grab bag assortments of full and partial spools of embroidery and sewing thread. 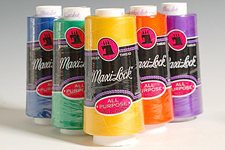 Grab bags are ideal for active sewers who want to build a thread stash at rock bottom prices. 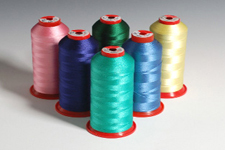 Casual sewers and customers looking for specific colors should use our regular thread selections. 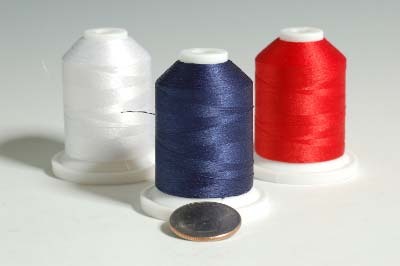 Sorry, we cannot cherry-pick colors.. 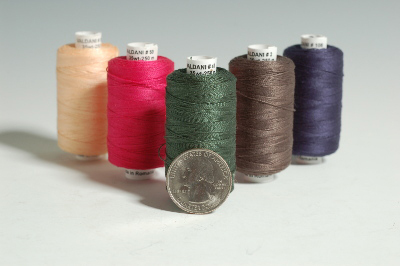 Partial spools of assorted sewing thread, mixed brands $2 a pound. 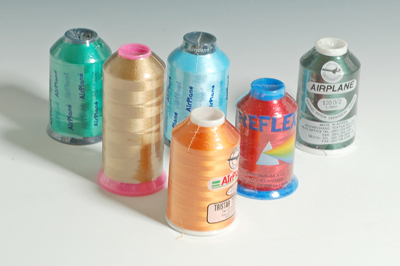 Spools are unwrapped. 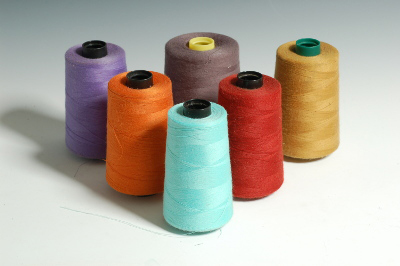 Typically 3 to 5 spools per pound. 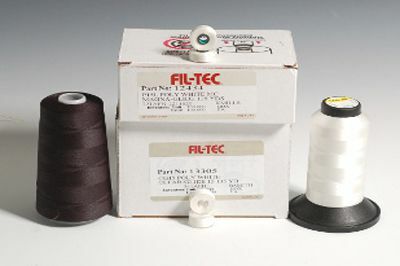 ARC rayon 40-weight, 5500-yard embroidery thread king spools. 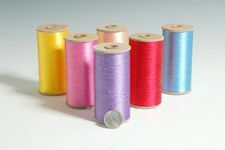 15 wrapped spools for $20. 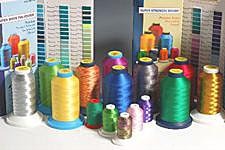 Mixed brand king spools - 10 for $15. 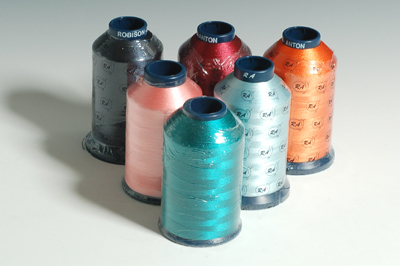 Spools are wrapped, mostly rayon and may be 30 or 40 weight. 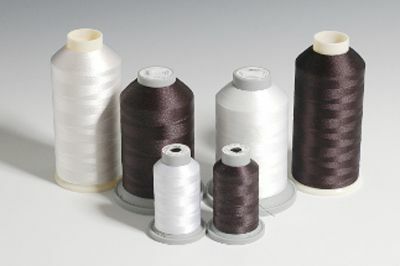 30-weight thread is heavier than 40-weight. 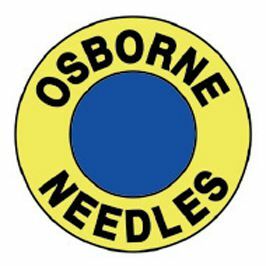 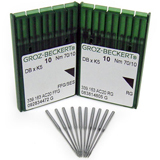 Great for embroidering large areas and hand embroidery; not recommended for tight patterns. 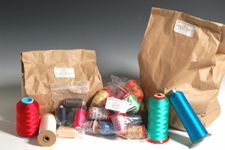 Schiffli 30-weight embroidery thread grab bag. 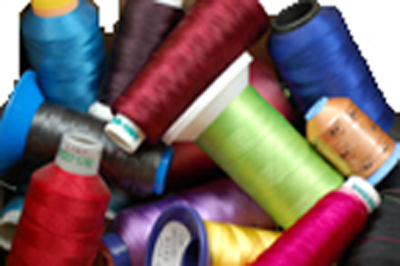 20 spools for $20. 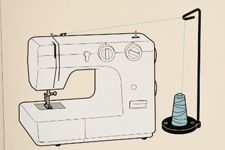 Use for hand sewing and some embroidery machines.